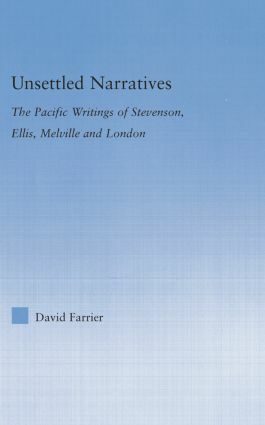 In the nineteenth-century Pacific, the production of a text of encounter occurred in tandem with the production of a settled space; asserting settler presence through the control of the space and the context of the encounter. Indigenous resistance therefore took place through modes of representation that ‘unsettled’ the text. This book considers the work of four Western visitors to the Pacific—Robert Louis Stevenson, William Ellis, Herman Melville, and Jack London—and the consequences for the written text and the experience of cross-cultural encounter when encounter is reduced to writing. The study proposes a strong connection between settling and writing as assertions of presence, and, by engaging a metaphor of building dwellings and building texts, the study examines how each writer manipulates the process of text creation to assert a dominant presence over and against the indigenous presence, which is represented as threatening, and extra-textual.